Dig: New York Latin Hustle! 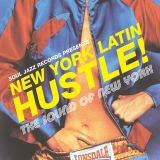 This is a new compilation released on Soul Jazz Records featuring, New York latin music of course! But latin is such a generic word so let's be more specific. It contains all of the sub genres of latin music you can imagine such as: boogaloo, latin jazz, disco, funk, and salsa. The album features tracks by such latin luminaries as Tito Puente, Eddie Palmieri, and Ray Barretto but also lesser known artists like La Charanga 76 (a favorite of Dimitri from Paris) or Ismael Quinones. You can pick up a copy from the good people at Forced Exposure. 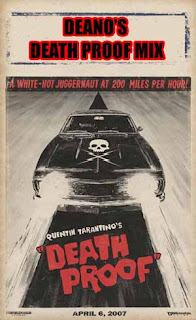 I've taken this gloomy Monday to create my Deano's Death Proof mix, inspired by my Grindhouse night last Wenesday. I've done my best to take only two tracks from the original soundtrack and use to tracks from other sources to create a cinematic narrative to the movie through sound and song. Waxing Deep is a great radio show out of Federicton, New Brunswick in Canada. 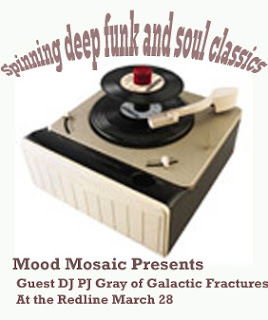 Run by Dan Zacks this show features all of the intersting funk, latin, disco, and everything in between that you've never heard but wish you had. Waxing Deep is also a record label and they currently have a fantastic Cuban funk compilation that I recommend you buy immediately. 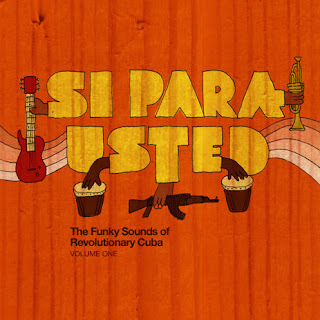 The album is called Si, Para Usted: The Funky Beats of Revolutionary Cuba and it contains funk, jazz, beat, afro, and soul from the 70s and early 80s. All of the tracks have been legally licensed and lovingly remastered so you know you are getting a quality product. You can check out the radio show and more at www.waxingdeep.org.